One Big Fluke › "As your new CEO my first step is to update my Twitter page's background, thus renaming the company to Microso." 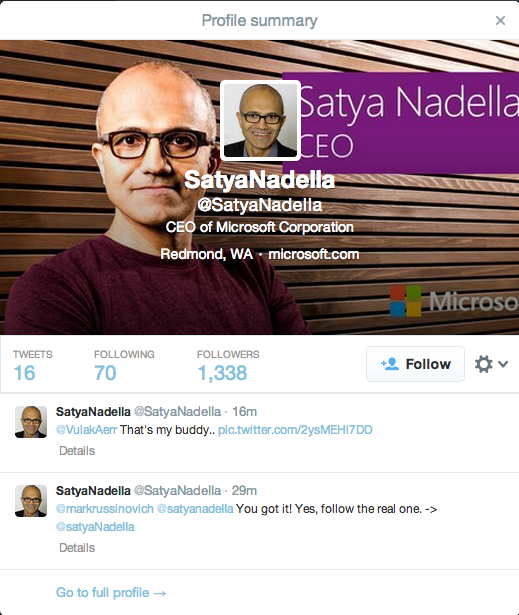 "As your new CEO my first step is to update my Twitter page's background, thus renaming the company to Microso." Aww, just kidding. I wish him the best of luck. More strong competitors is good for the industry, consumers, and progress.